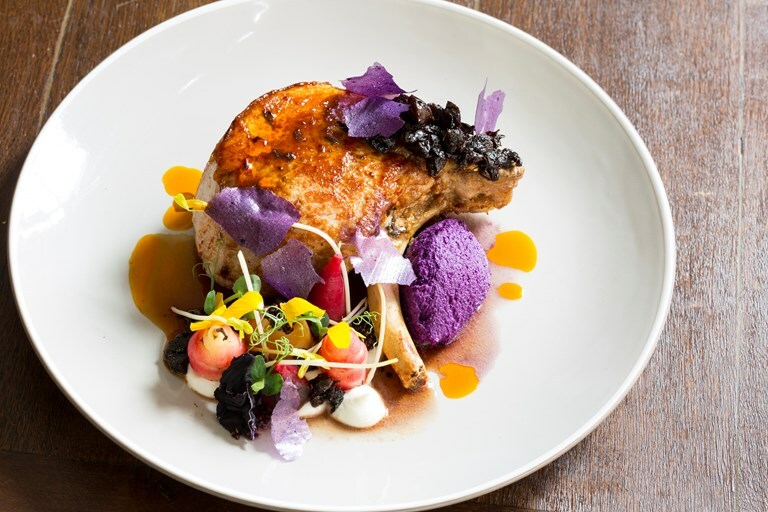 This vibrant pork chop recipe from Robert Ortiz offers an unusual spin on the much loved combination of pork, red cabbage and prunes. A fantastic dish for a gourmet barbecue, most of the elements can be prepared in advance and assembled just before serving. Achiote seeds, also known as annatto seeds, can be bought online or from specialist supermarkets. Reserve the seeds and reuse them to make up to two more batches of achiote oil, which can be used in marinades, sauces and stews.